Steve Carey’s Smith Going Backward is still, for me, one of the most vital books of contemporary poetry ever published. It moves through the infinity of literature like a stop-action square Frisbee. I spent more than just a little time poring over those pages in the mid-sixties when it was first published. Carey’s first book existed uniquely all on its own, as far as I was concerned, and when I later discovered the works of John Ashbery, and the New York School of Poets, Steve had provided a place to view them from with his chillingly prescient work. There are characteristics in this slim volume that anticipate a range of later works by a variety of writers, both in the New York School and the Language camp, and with an incredibly sophisticated originality. The benchmark for judging my own work and the work of my contemporaries for many formative years was the 13 poems in Smith Going Backward, published in an edition of six hundred in 1968 by Cranium Press. I was introduced to Steve Carey in 1967. He was part of a group of San Francisco (actually Northwest) types who were on the periphery of the Jack Spicer/Robert Duncan scene — their token Southlander, Carey was therefore allowed to write outrageously. He was tall, lanky, friendly with flyaway blond hair and an expressive use of his hands when he talked. Someone once compared these gestures to those of James Brown’s backup group, the Famous Flames. Even then, he had the reputation for having written a novel for each of his 21 years. The legendary California Papers were circulating as a dog-eared manuscript and people were fighting over who was going to read it next. AP was in the works. His ideas were fresh, startling. Although originally from Los Angeles, Steve was living on Stanyan Street in San Francisco when I first met him. He proudly announced that had just cracked the formula for making an authentic Orange Julius. He was living with Mary then, and Bill Bathurst was renting a room in their apartment. This was around the time Richard Brautigan staged a big happening at Glide Memorial Church, a 72-hour closed environment extravaganza called The Invisible Circus. It lasted almost 36 hours before being shut down as it careened into inevitable anarchy. 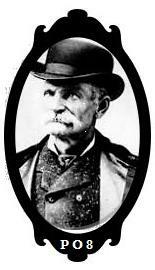 Lew Welch had been scheduled to deliver the sermon on Sunday morning. Everyone was disappointed. I remember Keith Abbott, Bill Bathurst, Clifford Burke, David Sandburg, and Pamela Millward as some of the folks who ended up at Steve’s apartment later that evening. In the course of one of the beer runs, someone ran into Lew and invited him over. Lew decided to deliver his sermon to Steve’s packed living room and moved a dresser to block a doorway and serve as a pulpit. It was quite exciting and historic but unfortunately that’s all I remember of it as by then I was fairly exhausted from all the drinking I had done that day and passed out under the table in the kitchen. When I awoke the next morning I realized that I wasn’t the only one who has been knocked out by excess. The floor was littered with bodies. In fact, I was sharing the space under the table with Bill Bathurst. I found my glasses, got up and went to wash the fuzz off my tongue. And I was having a hard time focusing. Later, when I went out for breakfast, I could barely read the menu. About then it occurred to me that the glasses I was wearing weren’t mine. After breakfast, I went back to Steve’s and found a grumpy Bill Bathurst sitting on the front stoop waiting for his glasses. The last time I ran into Steve was in 1978 at Ted Berrigan’s apartment on St. Mark’s Place. I was in New York City to read at the Poetry Project with Keith Abbott. We remarked on how funny it was that we should all end up there after all the many years and divergent paths and essentially this was where we had been headed back then even if we didn’t know it at the time. Despite the fact that Steve was living in New York City, a must if you’re going to make it big in the literary world, I hadn’t been hearing any great hype about him or his writing. I passed it off as compulsive wood-shedding, and it seemed to me that I’d heard that Steve was one of those perfectionists who was always polishing and revising his work. We renewed our correspondence shortly after that, and I could always count on his pithy and erudite commentary on the literary scene to enliven any communiqué. The impression I got from the letters we exchanged was that Steve was still pursuing his literary destiny but in his own uniquely private manner. *I wrote the above remembrance about twenty-five years ago shortly after I learned of Steve’s passing at the age of 43 from a heart attack. I had been asked to contribute to a memorial festschrift ostensibly due to our long though sporadic association that stretched back to San Francisco in the late 60’s. At the time of his death in 1989, Steve had been living in New York City a good dozen years or more. Eventually I decided not to submit the piece, and despite all my recent efforts to find a memorial collection of tributes and remembrances for Steve, apparently the project never got off the ground. 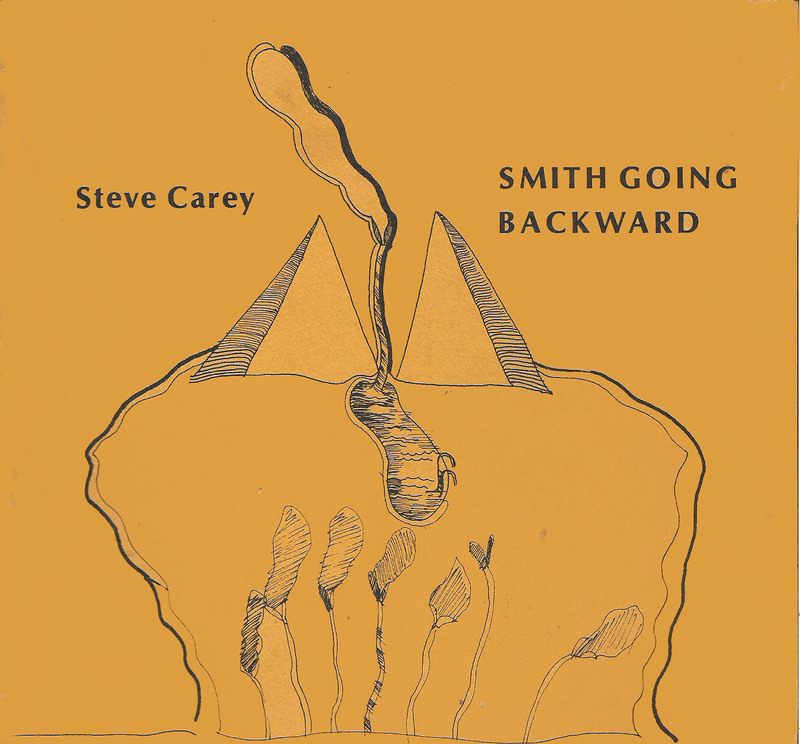 I worry that the essay may give the impression to anyone not familiar with Steve Carey and his poetry that Smith Going Backward was the only selection of his poems ever published. That is not the case. In 1975 many Carey friends and associates were heartened when Bill Berkson’s Big Sky published Gentle Subsidy (known to the cognoscenti as “Gentile Submarine”) featuring a whopping representation of Steve’s poetry, 35 poems in all. Whereas the three-quarter page format of Smith Going Backward mostly featured one poem per page, Gentle Subsidy had the space to showcase Carey’s longer poems such as “Rarity Planes” and “Basin Days” with their cinematic discontinuity and cerebral derring-do really allowing him to stretch out and show his stuff. AP, the book-length poem written in the late 60’s, and The California Papers had a word of mouth reputation long before they appeared in print. The California Papers was published by Lewis Warsh’s United Artists in 1981 and AP, under the Archipelago imprint, in 1984. Among the less widely available Carey publications are Keith Abbott’s rare late 60’s issue of Blue Suede Shoes of Steve’s long poem “Fleur-de-Lis,” and the Ted Berrigan published Lily of St. Mark’s produced as the mimeo samizdat of a revolutionary underground American poetry in 1978. No consideration of Carey’s work would be complete without a mention of Philip Whalen. In the late 60’s Philip Whalen’s poetry was of great interest and importance to a number of young poets living in San Francisco, and presumably elsewhere as well. Steve Carey was one of them. His appreciation for the framed sentience of Whalen’s mind moving nerve movie compositions is readily apparent in his poetry and displays a similar kind of immediacy. One of the first poems I ever read of Steve’s, published in Clifford Burke’s Hollow Orange, was a poem to Philip Whalen written in an uncanny pastiche of the master’s style. With Steve’s passing the illuminati had to content themselves with what was currently available of his work. Although there was undoubtedly thought given to publishing a posthumous collection, the resources were not readily available at the time. It is to the shame of American poetry that a poet of his genius could not be more appreciated and held up as an example to future generations that this is the way American poetry is written! As Alice Notley notes in her essay “Steve” (Coming After, 2006), “Poetry isn’t a career, it’s much more exacting than that part of it. Poets are routinely and shamefully used by their society to get a culture, to have a culture at all; Steve is clearly a culture-maker and the product of society’s use of him.” And she continues, “If poetry isn’t, as the theory people say, or shouldn’t be about manufacturing a product, then poets such as Steve are the ones who should be given more attention.” Poets of Carey’s caliber, unaffiliated with institutions, are routinely marginalized by the Anglo preference for varnished codified verse. The clue to what Alice Notley terms “the loveliest poetry voice I’ve ever encountered” might possibly be found in Carey’s upbringing. Steve Carey’s grandfather was Harry Carey, a silent film actor and eventually in the ‘talkies’ who was a big part of early Hollywood western features associated with John Ford, and his father was Harry Carey, Jr., a popular character actor who was featured in dozens of Westerns, both in film and on TV, most notably in John Ford’s Red River, in which the grandfather also had a role. Steve once remarked that he had grown up “sitting on the laps of starlets.” It is perhaps for this reason that Carey’s poetry has such an obvious spoken component. Surrounded by family and friends who often rehearsed their lines in his presence, he developed an ear for dialogue and the colloquial. It was no secret that his nuanced and unerring ear often lifted lines from TV or movies and incorporated them into the text of his work. One such piece might be “All Right By Me,” a seamless list of phrases with just the right emotional emphasis to be rendered as a disheartened soliloquy. It could have come right off the screen. 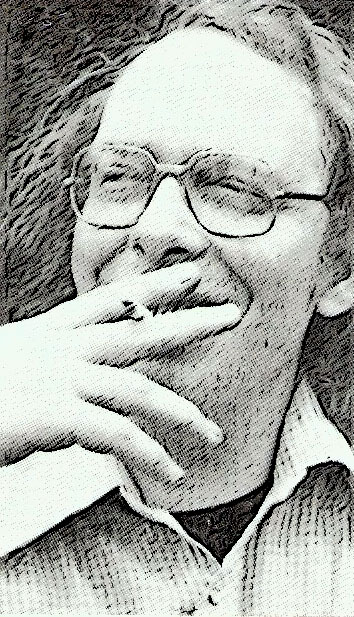 To many who were present in those halcyon days in the latter decades of the 20th Century, Steve’s passing at such a young age was indeed a tragedy, largely because a great and wonderful human had ceased being, but also because often the desire to establish and ensure a friend’s legacy is beyond the power of mere poets. Reading some of Steve’s old letters, I was reminded of his uninhibited enthusiasm for whatever it was you were doing, even such a dicey enterprise as publishing a scurrilous newsletter full of poetry gossip. Steve celebrated creativity in himself and in others. I am in spite of my life. I sort and die. I die talking. Pat Nolan’s is the author of over a dozen poetry selections and chap books, and two novels. 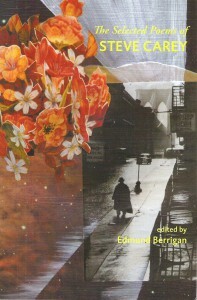 His latest selection of poetry, Your Name Here, New Poems is now available from Nualláin House, Publishers. He was the founder of the original Black Bart Poetry Society and co-editor of its scurrilous newsletter, Life Of Crime. His online serial fiction Ode To Sunset, A Year in The Life of American Genius is currently available for perusal at odetosunset.com. He lives along the lower Russian River in Northern California. The Selected Poems of Steve Carey is available from the publisher, subpress, as well as from Small Press Distribution. This entry was posted in Poetry, Poetry Society and tagged Bill Bathurst, California, California Poetry, Edmund Berrigan, John Ashbery, John Godfrey, Life Of Crime News Letter, Modern Poetry, New York City, Philip Whalen, Poetry, Poetry Blogs, Poetry Lectures, Poetry Lessons, Poetry Society, Poetry Talks, Poets, Russian River, San Francisco, Schools of Poetry, Steve Carey, Ted Berrigan, The New Black Bart Poetry Society, The New York School. Bookmark the permalink.